The third season premiere of OWN drama series Queen Sugar delivered 2.1 million viewers and ranked as Tuesday night's #1 cable telecast in OWN's key demographic of women 25-54 (L+3). The acclaimed drama from award-winning filmmaker Ava DuVernay and executive producer Oprah Winfrey was also the night's #1 telecast across all of broadcast and cable for African-American women. In addition, the season premiere of Queen Sugar ranked as the #1 most social show on Twitter and Facebook in all of cable among all dayparts (non-sports) for the day. OWN was Tuesday night's #1 cable network among W25-54 with Queen Sugar and The Haves and the Have Nots among the top three cable telecasts in the key demo. OWN was also Tuesday night's #1 network on all of television, including broadcast and cable, for African-American women and total viewers. 2018 to date, OWN boasts three of the top five scripted series overall on ad-supported cable among W25-54 (The Haves and the Have Nots, Queen Sugar, and If Loving You is Wrong). Wednesday night's second episode of Queen Sugar also delivered strong numbers with 1.6 million total viewers in L+3 and ranked as the night's #1 scripted cable telecast among W25-54. In the series' third season, the contemporary drama returns as the Bordelons find themselves continuing their fight to save their family farm and father's legacy as they navigate their own personal journeys. They soon find that their fight extends beyond their close-knit family, but also to the community. 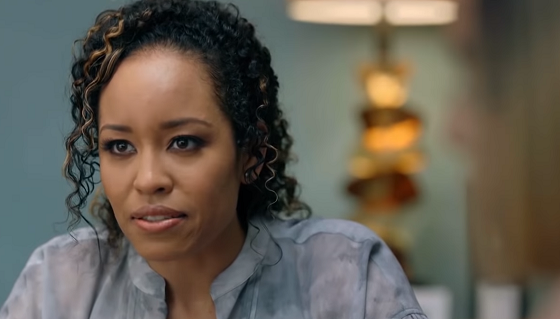 Charley (Dawn-Lyen Gardner) remains in the thick of the trials and tribulations in both her personal and professional life as she continues to battle the Landry family while also trying to ensure Micah's (Nicholas Ashe) safety and future. Ralph Angel (Kofi Siriboe) is still reeling from learning from Darla (Bianca Lawson) that he might not be the biological father of his son, Blue (Ethan Hutchison), and attempts to push forward as the new cane season begins. A new and unexpected love in the form of an old friend comes into Nova's (Rutina Wesley) life and challenges her long-held notions of relationships while also offering her something she didn't think she could ever have. The expansive cast also includes Tina Lifford as the siblings' free-spirited Aunt Violet; Omar J. Dorsey as Violet's much younger fiancé Hollywood Desonier; Dondré T. Whitfield as trusted Bordelon family friend Remy Newell; Henry G. Sanders plays Prosper Denton, a farmer and longtime friend of the late Bordelon family patriarch, Ernest; Additionally, recurring guest star Timon Kyle Durrett portrays Charley's estranged husband and pro basketball player Davis West. Queen Sugar is produced for OWN by Warner Horizon Scripted Television. The executive producers are Ava DuVernay, Oprah Winfrey, Kat Candler, and Paul Garnes. The series is based on the book by Natalie Baszile.